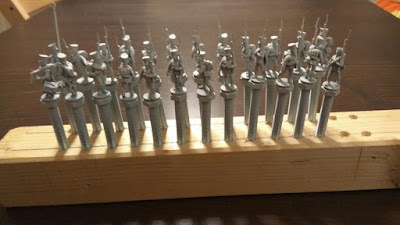 I think it might be worth while gluing 4-6 guys on a lollipop sticks and paint them in batches saves time picking up and dropping down the figures ie faster paint time. Yeah, that could work but I would need something more stiff than a lollipop stick. 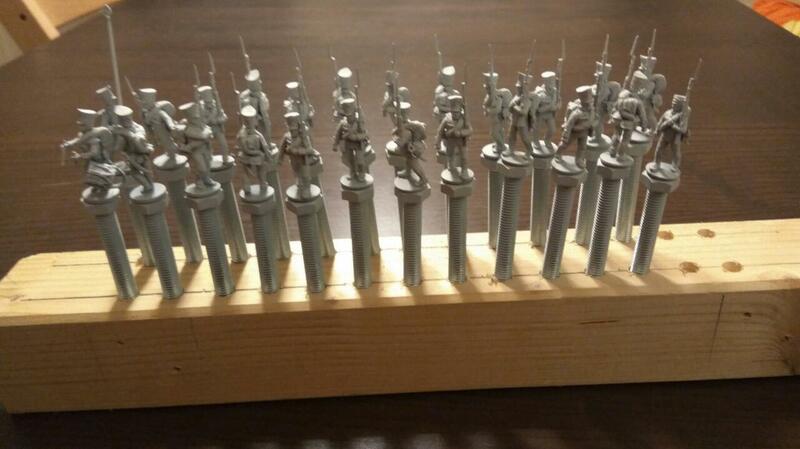 The screws that I use to hold the miniature are already quite heavy by themselves. On the other hand it can be quit handy to twist and turn the single miniature in every direction during painting to cover all spots with paint.